In yet another example of why Americans increasingly feel that they cannot trust the mainstream media to provide the complete, unbiased facts on important stories, USA Today's report on Kentucky's Covington Catholic High School being forced to cancel classes Tuesday due to security concerns presents the ugly story in the most general of terms and fails to provide readers with crucial information that blows up early reports libelously portraying the high schoolers as cruel bigots. On Tuesday — the first day students returned following the release Saturday of a viral video that most mainstream media outlets portrayed as showing the teens "harassing" and "mocking" an adult Native American protester after supposedly hurling racial epithets at minorities — school officials determined it was necessary to cancel school due to the flood of threats against the students, their families, and the school prompted by the early reports. "Covington Catholic High School is closed Tuesday over security concerns, according to school officials," USA Today reported Tuesday morning. "After meeting with local authorities, we have made the decision to cancel school and be closed on Tuesday, January 22, in order to ensure the safety of our students, faculty and staff," Covington Catholic Principal Robert Lowe said in a letter to parents obtained by WXIX-TV. "All activities on campus will be cancelled for the entire day and evening. Students, parents, faculty and staff are not to be on campus for any reason. Please continue to keep the Covington Catholic Community in your prayers." In its explanation for school officials' decision, USA Today reports that "Tuesday would have marked the first school day since a video prompted public outrage and accusations that students mocked a Native American activist." Over the weekend, competing narratives unfolded, hours of cell phone footage from different sources was released showing a fuller picture. 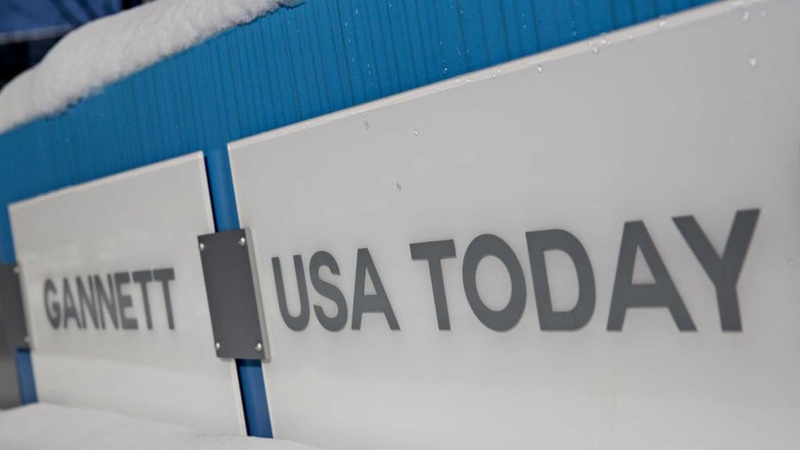 USA Today does note that the student at the center of the controversy, junior Nick Sandmann, issued a statement "firmly stating he wasn’t mocking anyone," but fails to take the opportunity to note that the video evidence backs him up or to provide any quotes from his statement. USA Today also notes that "President Donald Trump took to Twitter defending the teen," but chooses not to actually include the tweets from Trump in which he calls out the media for the shamefully one-side reporting and cites the footage that disproves the original reports. The outlet does at least acknowlege that "[t]hreats have poured in against students and the school itself with some going so far as to wish a school shooting upon Cov Cath, as it is called locally." Below is some of the key information that USA Today chose to leave out, opting instead for its vague "competing narratives" comment, staring with Trump's tweets. "Looking like Nick Sandman & Covington Catholic students were treated unfairly with early judgements proving out to be false - smeared by media," Trump wrote in a tweet Monday night not included by USA Todoay. "Not good, but making big comeback! 'New footage shows that media was wrong about teen’s encounter with Native American' [-Tucker Carlson]." "Nick Sandmann and the students of Covington have become symbols of Fake News and how evil it can be," Trump added early Tuesday morning, in another tweet not quoted by USA Today. "They have captivated the attention of the world, and I know they will use it for the good - maybe even to bring people together. It started off unpleasant, but can end in a dream!" I have read that Mr. Phillips is a veteran of the United States Marines. I thank him for his service and am grateful to anyone who puts on the uniform to defend our nation. If anyone has earned the right to speak freely, it is a U.S. Marine veteran.I can only speak for myself and what I observed and felt at the time. But I would caution everyone passing judgement based on a few seconds of video to watch the longer video clips that are on the internet, as they show a much different story than is being portrayed by people with agendas.